The almighty humble potato makes a stunning dish called Potatoes Au Gratin, the French would call it a few different names depending on what region the dish is originating from. There are many variants of the name of the dish, including Pommes de Terre Dauphinoise, Potatoes à la Dauphinoise & Gratin de Pommes à la Dauphinoise. What does Au Gratin mean? Answer: To grate, usually with breadcrumbs or grated cheese. Classicly using Gruyere cheese. 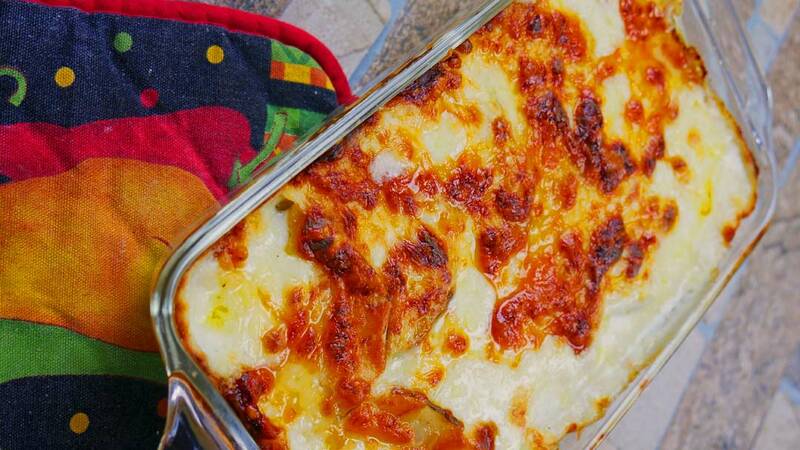 (of potatoes or other vegetables) sliced and cooked in milk, typically with a topping of cheese. 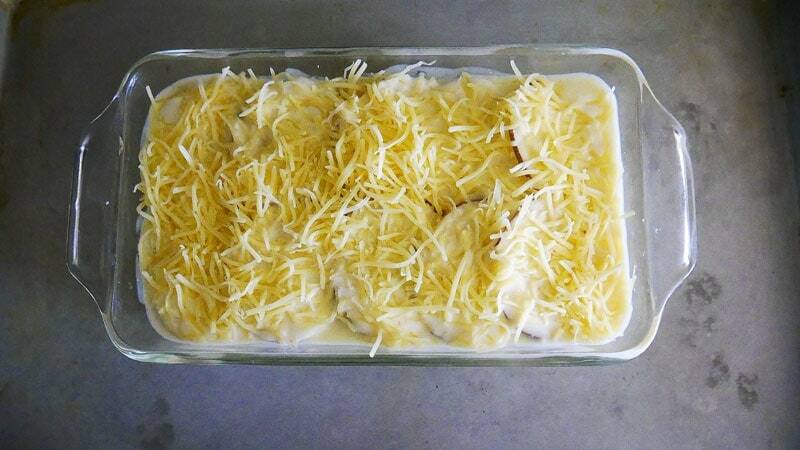 Today’s recipe is all about tradition and the traditional preparation of Potatoes Au Gratin. 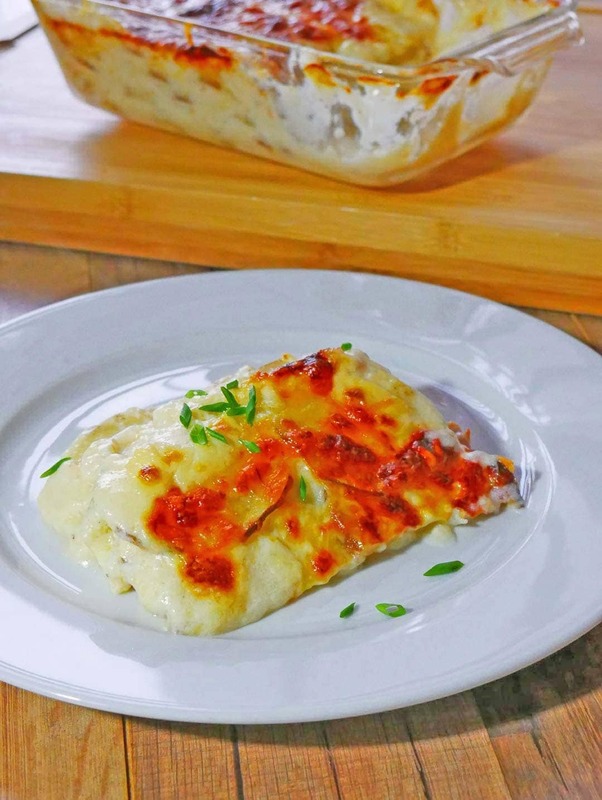 This recipe could be looked at as a simple dish, yet also elegant with great depth of flavor that comes from a traditional Bechamel being prepared in the classic French way. 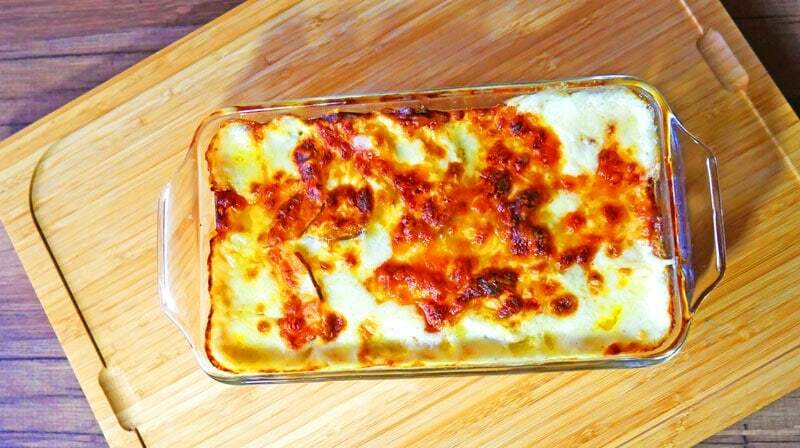 Often a Bechamel sauce is referred to as a “White Sauce”, and they would be correct. But remember, a White Sauce is not a Bechamel. 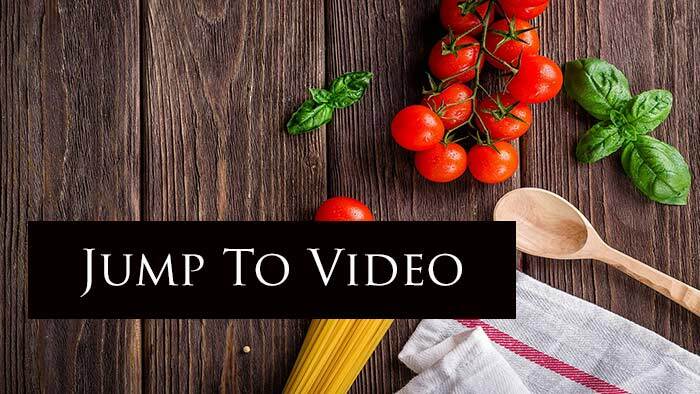 For a White sauce to become a Bechamel there are certain steps and flavorings that must be used in order to become a traditional Bechamel Sauce. I believe this step is sometimes overlooked in the way of importance. 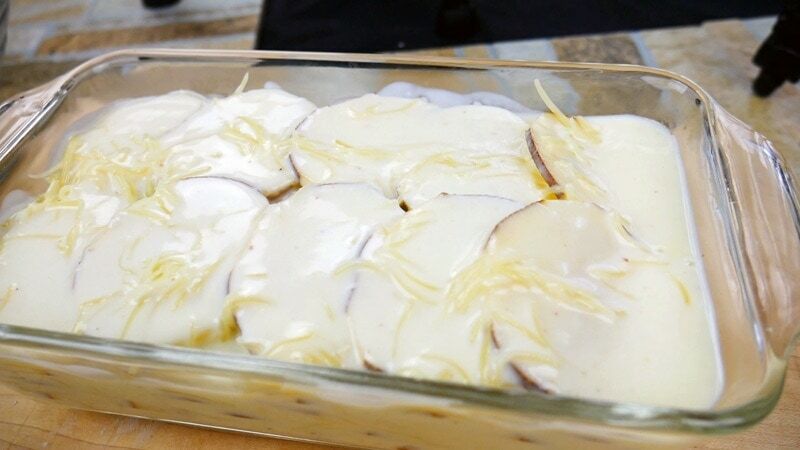 Potatoes Au Gratin is a classic preparation of potatoes sliced thinly and covered in a creamy traditional Bechamel sauce. 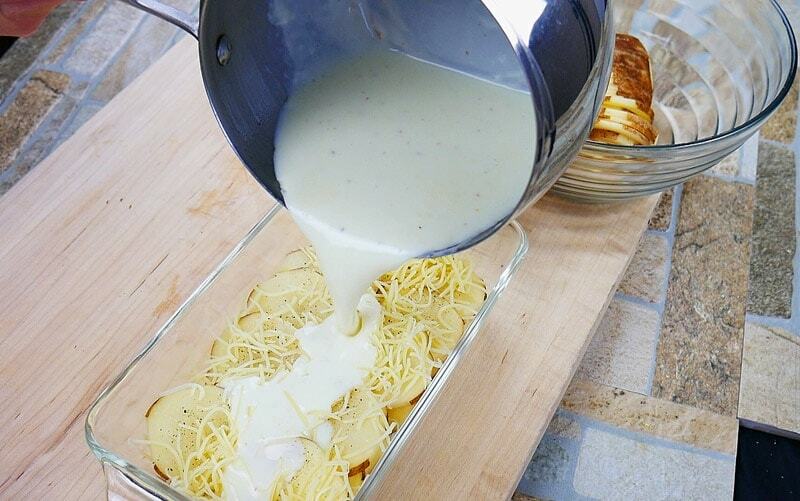 The bechamel sauce is the key to this amazingly simple, yet elegant potato dish. Here’s our article outlining everything you could need to know about making a proper Bechamel Sauce. I would like for you to watch the video as well. You’ll be able to see the movement/motions that goes into making a classic French sauce and even more important, the timing. Sauce making is all about good techniques, yet the key is “Timing”. Great ! We now know everything that it takes to make a traditional Bechamel sauce. If you haven’t experienced this sauce made the Classic French way you’re going to be pleasantly surprised. The flavoring really takes the sauce up a notch. Now on to the potatoes. Wow, with 200 possible types of potatoes how do we begin to pick which type to use? I have an answer to this type of question I think almost always holds up. You should use the kind you like. Just like cooking with wine, you should cook with the type you enjoy. Yet, dealing with potatoes there are characteristics which can help with the finished dish. an odorless tasteless white substance occurring widely in plant tissue and obtained chiefly from cereals and potatoes. It is a polysaccharide that functions as a carbohydrate store and is an important constituent of the human diet. 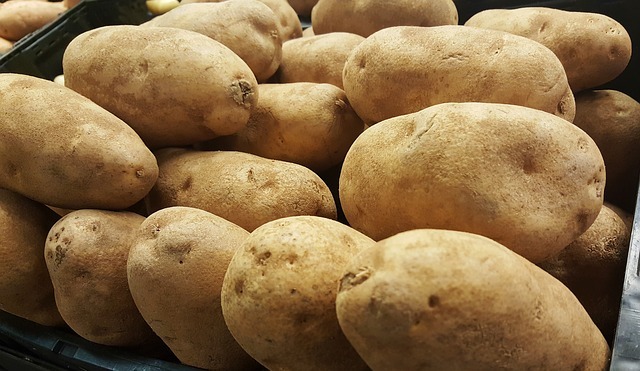 Potatoes have an abundance of nutritional value, including a high level of macronutrients, vitamins & minerals. 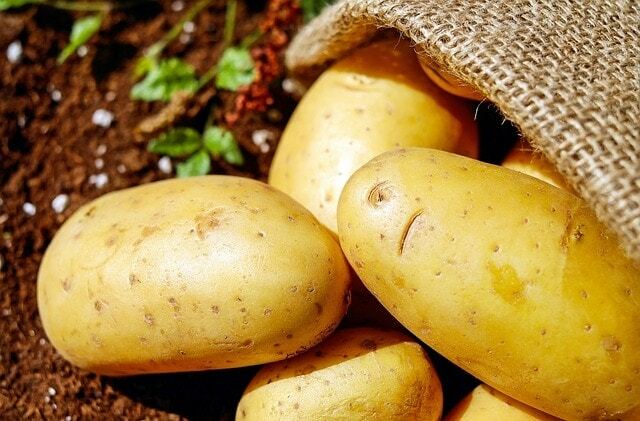 One of the potato’s greatest nutritional offerings is its carbohydrate content. 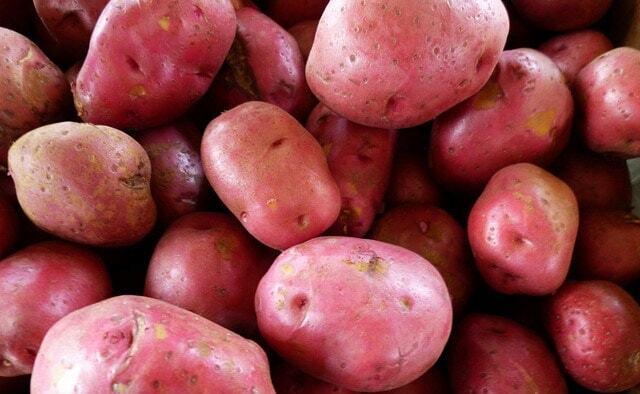 Potatoes contain both simple and complex carbohydrates, as well as a substantial amount of dietary fiber. Most of the carbohydrates in potatoes are complex carbohydrates, called starch. Potatoes also contain simple sugars, with glucose being the most prevalent. -russet-skinned with white flesh. They’re what we typically imagine when we think of potatoes. They have a neutral potato flavor, a fluffy, creamy and soft texture, and are best for baking, mashing and making French fries. They’re also very absorbent, work great paired with butter and cream — think mashed potatoes. – finely flaked yellowish-white skin with light yellow flesh. They’re bright, vegetal and slightly sweet, with a smooth, slightly waxy texture and moist flesh. They’re best for boiling, baking and making French fries. 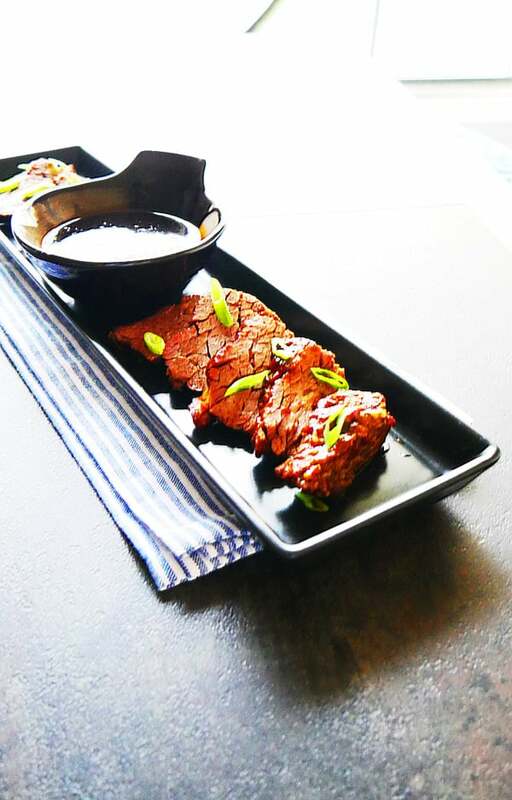 They’ll also stand up well to grilling, pan frying & roasting. – bright red skin with creamy white flesh. They’re slightly bitter and have a firm, moist and waxy texture. 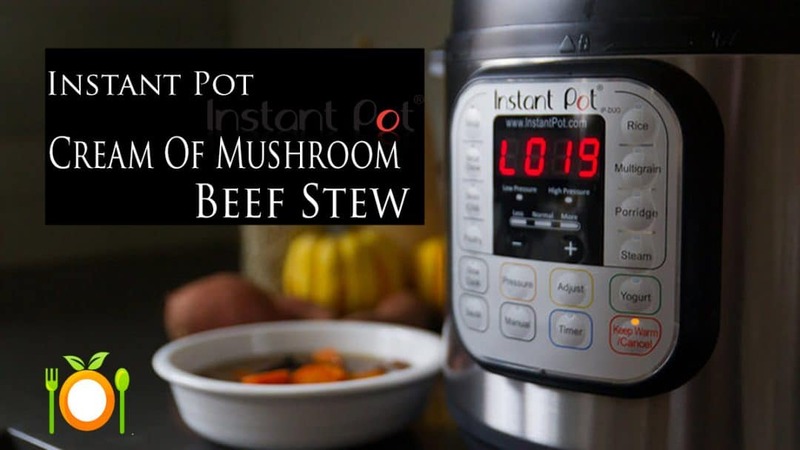 They’re best for soups, stews, boiling, roasting, potato salad and casseroles, and worst for mashing. First thing, Peel and slice your Russet potatoes. The reason we start with the potatoes is “Timing”. When working in the kitchen “Timing‘ is everything. This is a skill a lot of cooks struggle with. Here at Butter-n-Thyme “Timing” is a focal point in our lessons. 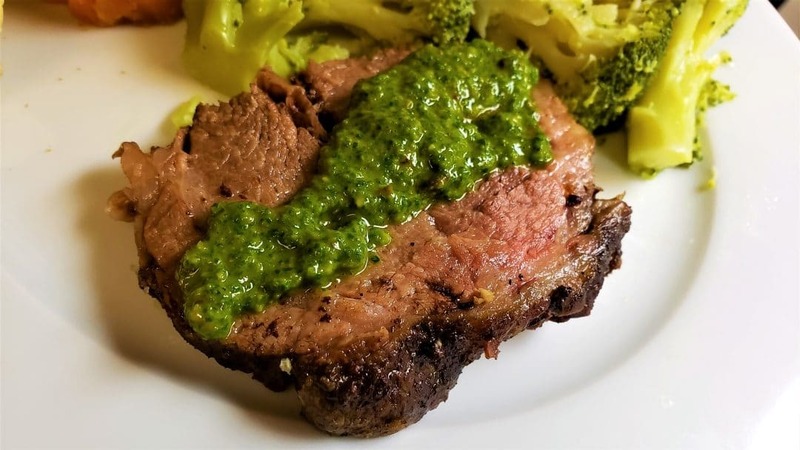 Sure we teach you how to make the recipes in the articles, but underneath the goal is to empower all our readers with solid culinary information and training, skills, tips & tricks. Be sure to wash off the potatoes before peeling. In the photo below, I only cut off some of the outside peel. This helps with presentation. If you peel the potatoes your dish could appear plain to some degree, a lot of white space, but that also could be a good thing. Just something to consider. Plus, the potato skins is where most of the health benefits come from. 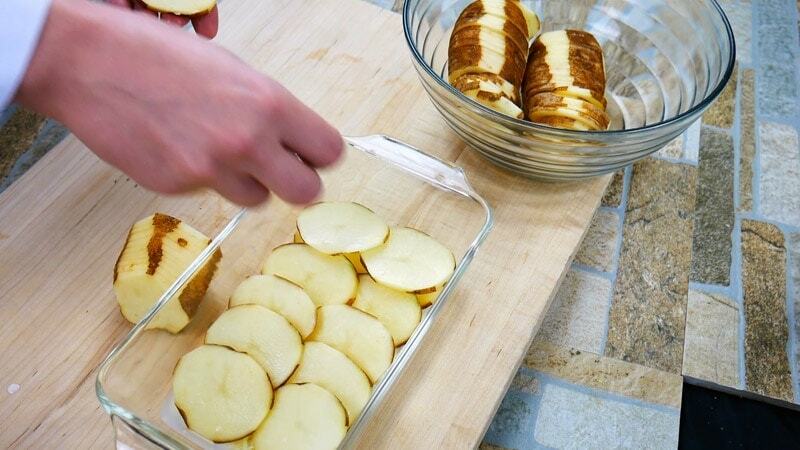 Use a normal peeler to create the striped potato cuts. Just peel down the length of the potato and alternate. 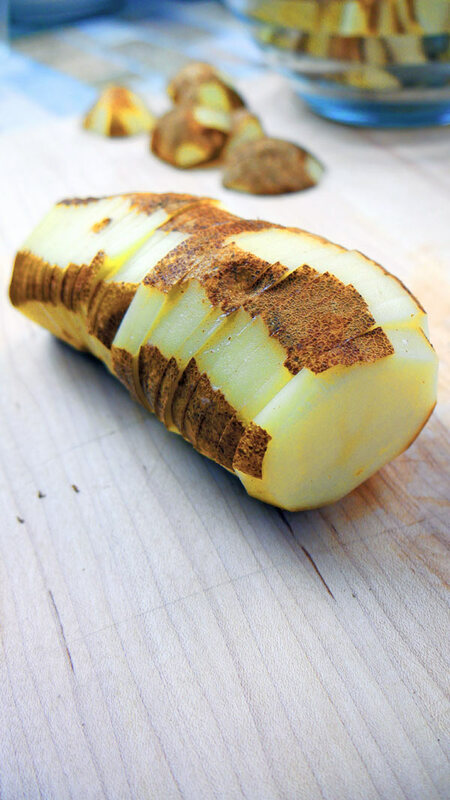 Chef Tip: Potatoes oxidize and turn color when left exposed to air. Notice in the photo above the potato is put back together to reduce surface area. Resulting in almost zero oxidization. You could place them in a bowl filled with water as well. 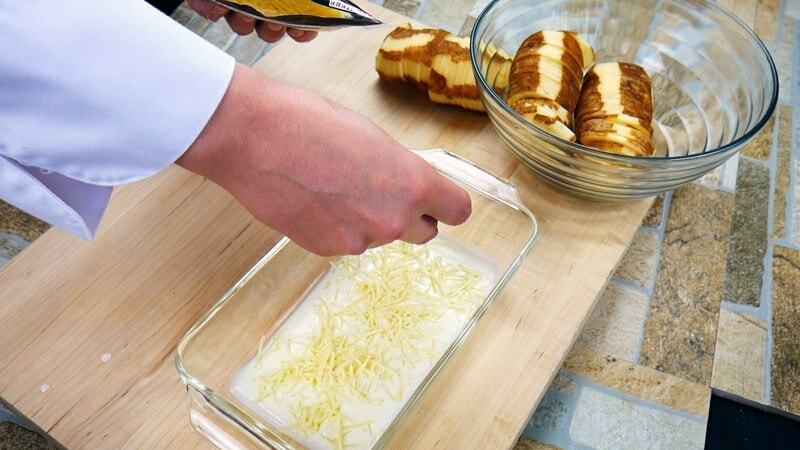 Add 4 tablespoon butter and melt. Then add 3 tablespoons of flour. We are making a Roux. Which by definition a Roux is equal parts butter and to flour. Since we are making a Bechamel sauce we will be using a little less flour. The fat in the Milk would be the reason. This also allows for a longer time for the sauce to tighten up/thicken while the flavors develop. While stirring, add in 1/3 of the Milk over medium-high heat. Once the sauce starts to thicken, add the remaining Milk and keep stirring. When you’re prepping the Potatoes, Prep the Onion then. Do not wait. Next place the Onion in the sauce and cover to infuse flavor. 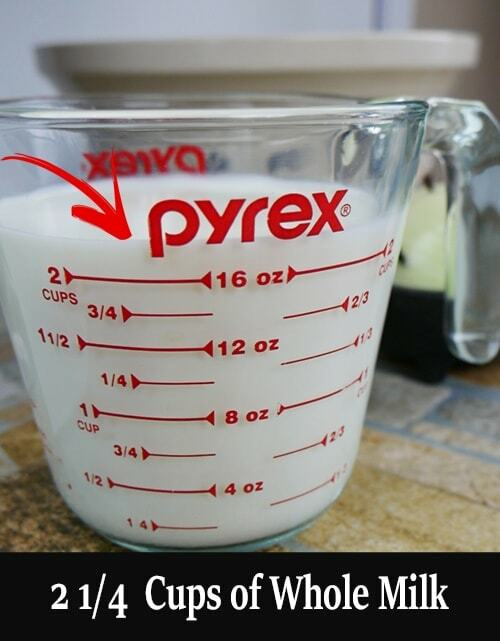 The “Timing” is right after you finished stirring in the second addition of Milk and reached a soft boil. 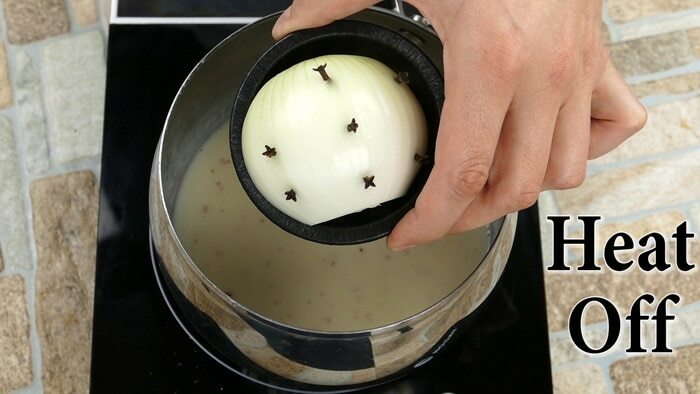 Turn off the Heat before adding the Onion, then cover and wait around 5 minutes. Take a taste. If you’re happy great. If not, allow more time to impart flavor. If the sauce tries to thicken too much just add a little bit more Milk to thin the sauce out. Season with salt to taste. add small pinch. Keep repeating process till you’ve reached the level you’d like for your casserole dish. Remember, don’t overfill with bechamel sauce. That would affect your presentation. When you’ve reached the correct doneness, turn on the Boiler and brown the top of the Au Gratin. Crack the oven door and keep an eye on it. First, melt butter over medium-high heat, then add the flour and coat all the flour in butter. "Cook-Out" the flour. Allow the flour to absorb the butter. This will help ensure the Bechamel sauce will not be grainy. Once at a soft boil turn off heat. The sauce will thicken. 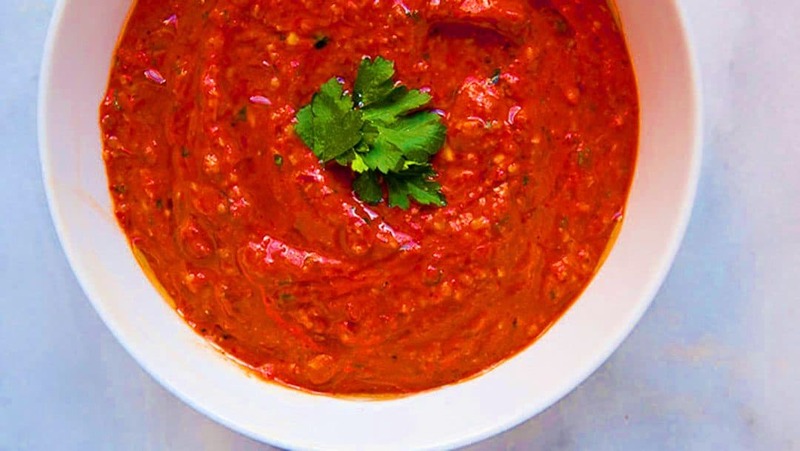 If the sauce gets too thick for your purposes add a little more Milk to thin out the sauce. Remember the heat activates the Roux and thickens. 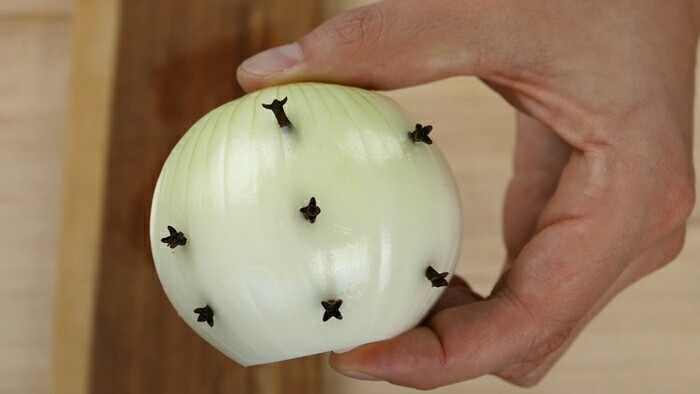 Add the Onion with the Cloves to the pot. 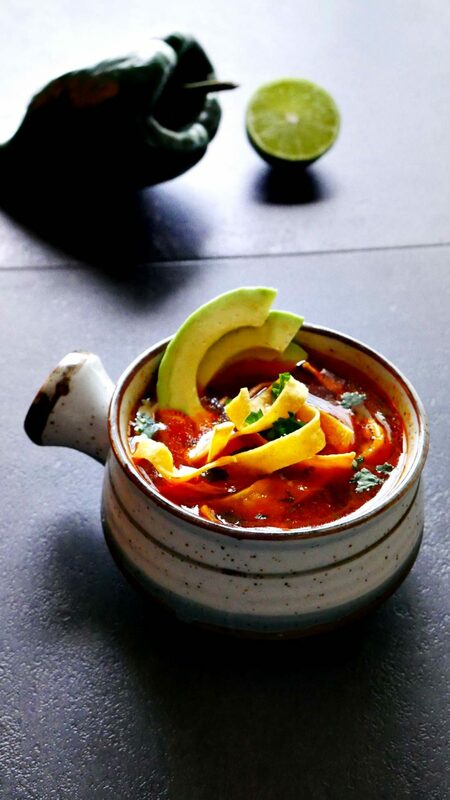 Cover the pot for 4 to 5 minutes to allow the flavors to develop. First wash off the potatoes well. 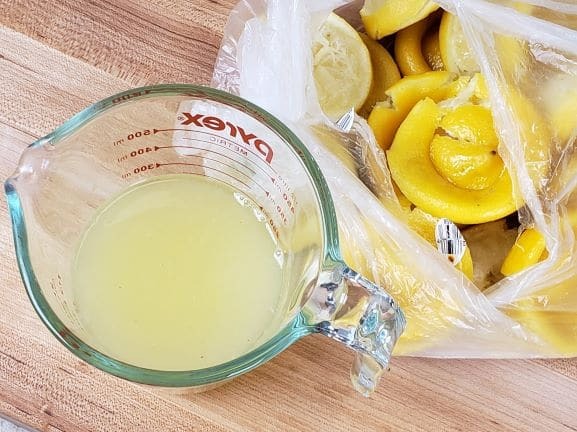 Using a mandolin or sharp knife, make thin slices. The thickness is up to you. I suggest 1/8 inch slices. Remember the potato skin is where most of the health benefits reside. I took a peeler and removed on part of the skins. Made peeled stripes going down the length of the potato in an alternating pattern. Helps with the presentation. See Video Above. First, pour Bechamel sauce covering the bottom of your casserole dish. Using glass bakeware is suggested for even cooking. 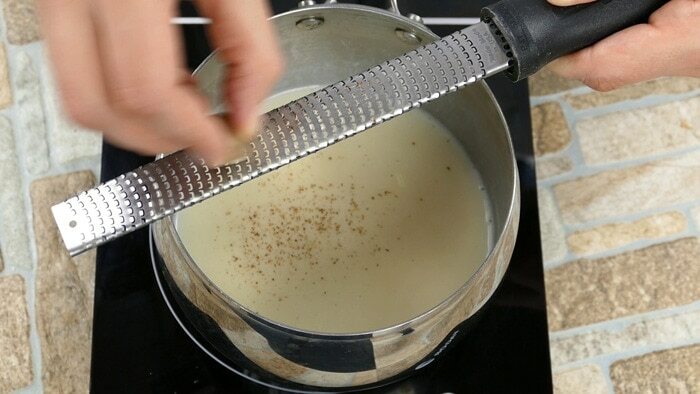 The bechamel sauce acts to protect the potatoes from burning and sticking. Next, add two layers of potatoes. Lay the potatoes out with each potato slightly covering the last potato. Shingle pattern. Then add a layer of Cheese and cover with Bechamel sauce. Add a small amount of salt & pepper. Repeat process till you've filled your bakeware to the desired level. Add the remaining Bechamel sauce, allow for the potatoes to stick out a small amount. Don't drown the potatoes in sauce, helps with presentation. 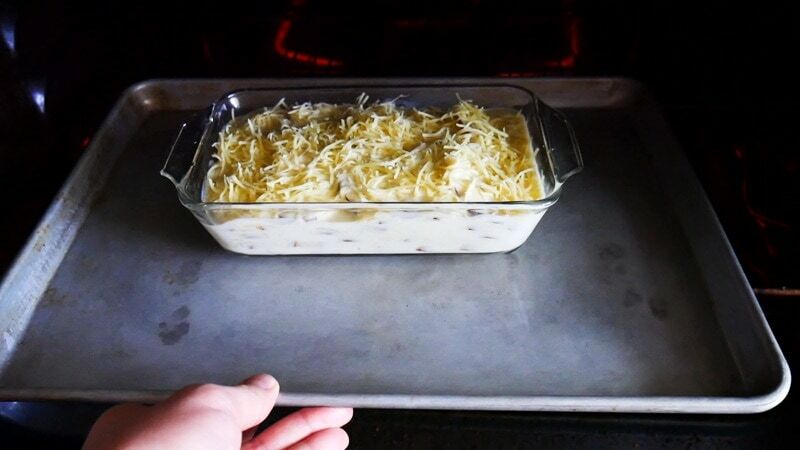 Cover with more cheese and place on a cookie sheet to prevent bubbling over. Cook for 45 to one hour or till done. All ovens are different. Test for doneness. Poke with a fork. If soft enough, turn on broiler to brown the top. Be sure to keep on eye on this process as the potatoes au gratin could burn. Crack the oven door so you can see what's happening. Allow to cool for 5 minutes and enjoy. I was looking for an au gratin recipe because I cannot find one of my two favorite cookbooks when I came across this site…wonderful, I will be saving this to favorites! I was looking for a basic roux to remind me how to start my cheese sauce for au gratin potatoes. I like the step by step and the explanations of what you were taught and why something should or should not be used….thank you! Rebecca, thank you for the comment, I appreciate it. I hope you enjoy the content. If you ever have any questions, here to help. 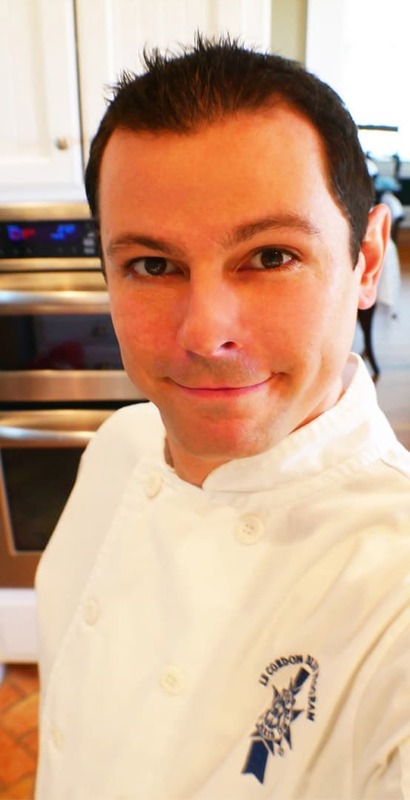 All the best, Chef Pennington.